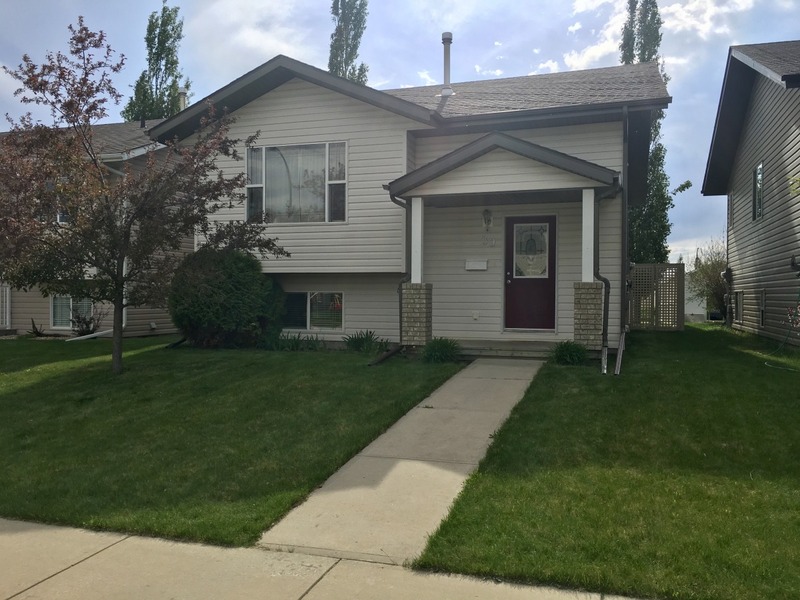 This beautiful single family home was built in 2001 and resides on a quiet residential street in the community of Davenport in Red Deer and is a 1768 square foot modified bi-level which includes a fully developed basement. This house has four bedrooms and two full bathrooms with two bedrooms and a full bathroom on each of the 884 square foot floors. It comes complete with an open-style kitchen, six appliances and hickory cabinets. The upstairs has hardwood flooring throughout except for the kitchen and bathroom which are both ceramic tile. There is a nicely sized tiled entrance, a living room and breakfast nook upstairs with a vaulted and sculptured ceiling, a large east-facing front window as well as south and west-facing windows for plenty of natural sunlight. The basement is fully carpeted and also has a reasonably sized family room. Watch the sun set on those warm summer nights sitting on the 10’x12’ elevated deck located off of the kitchen, overlooking the large west-facing fully-fenced and landscaped backyard, complete with fire pit. Behind the house is a gravel alley with a designated parking pad large enough to accommodate two vehicles. Please note, this house does NOT have a garage. This beautiful home is close to the Collicut Centre and several schools, a short drive to shopping areas as well as Red Deer College and also provides quick and easy access to major routes in Red Deer. Please note, rent does not include utilities and these will be the tenant's responsibility. Smoking inside the property is strictly prohibited.